My family buys our beef in bulk from a local rancher. We usually get a 1/4 of a cow at a time. If you haven't bought beef on the hoof before you may not have thought about what cuts you get. You'll get the usual set of steaks and roasts, stew meat and soup bones, but a lot of what you get is ground beef. I've become pretty good at cooking ground beef, but after a while you get tired of Bolognese and meatloaf and soup. My kids are also pretty picky when it comes to mixing foods. They like everything naked; so no casseroles or soup or the like for them. They like their meat on one part of their plate and veggies and fruits in another. No touching! No Mixing! So that makes it pretty hard to get them to eat any of my ground beef mixtures. The other day I had a few packages of ground beef thawed and didn't really have a plan for them. 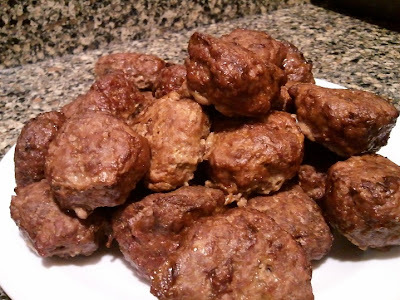 So, I thought I'd try to make meatballs from them. My kids love meatballs, but usually eat ones that come pre-made. I'd never tried to make my own before, but it didn't sound too hard. 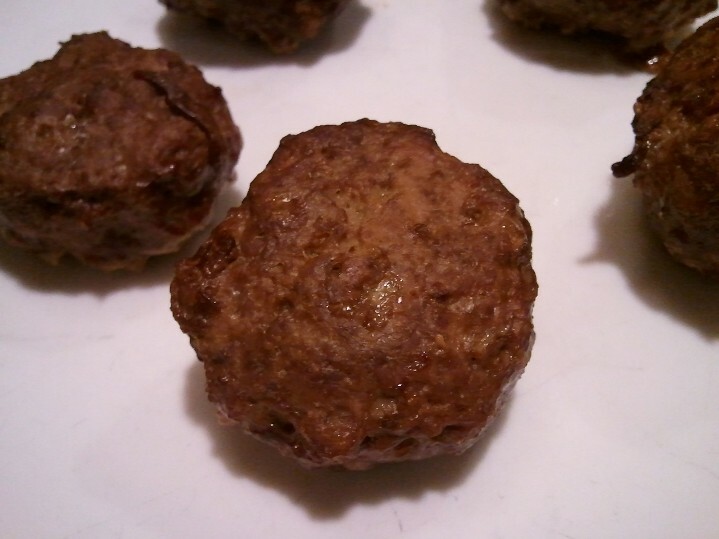 Turns out it was super simple and is now one of my favorite uses for ground beef! I made mine in the oven simply because my cookie sheet is bigger than my cast iron skillet and could cook more meatballs at the same time. But stove top would be a good option as well, if you choose. Preheat oven to 350F. Mix all ingredients in a mixing bowl using your hands to really mash it all together! Line a cookie sheet with foil or parchment, form 1 to 1.5 inch diameter meatballs out of mixture and place on cookie sheet about 1 inch apart. 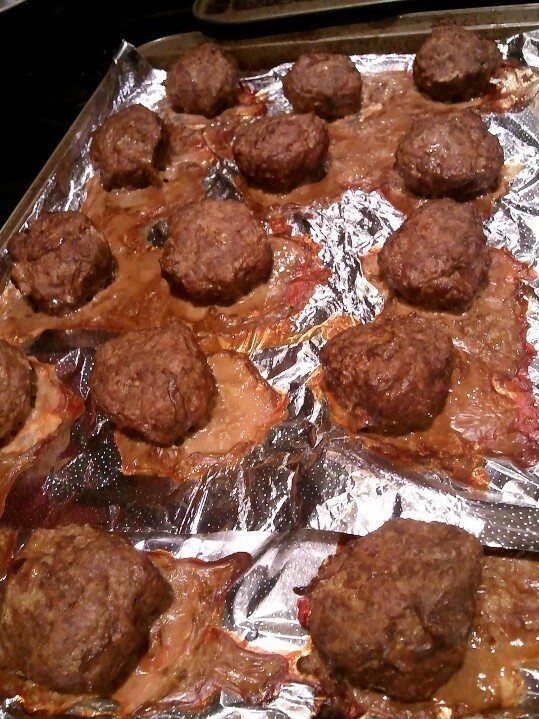 Bake for about 20 minutes then turn each meatball over and bake for another 15-20 minutes until internal temperature reaches 140F or until baked to your preferred doneness.